Uttar Pradesh Chief Minister Yogi Adityanath hit out against the CPI(M) government in Kerala on Wednesday, claiming 300 people had died of dengue in the state in one year. The chief minister of UP made this claim on his visit to Kerala to attend the Jan Suraksha rally launched by BJP/ RSS against the communist rule in the state. 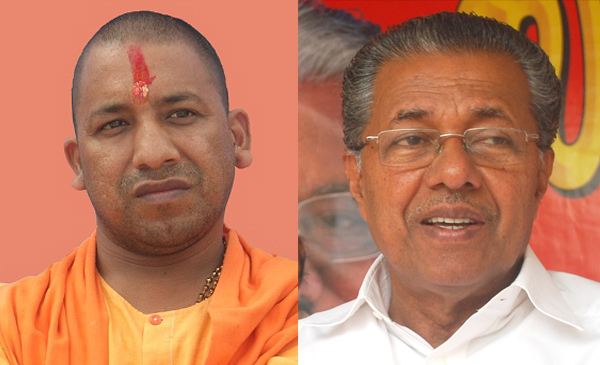 In 1 year, 300 deaths due to dengue, hundreds of deaths due to chikungunya, show that the CPI(M) government is not playing a responsible role in Kerala – Yogi Adityanath to NDTV. 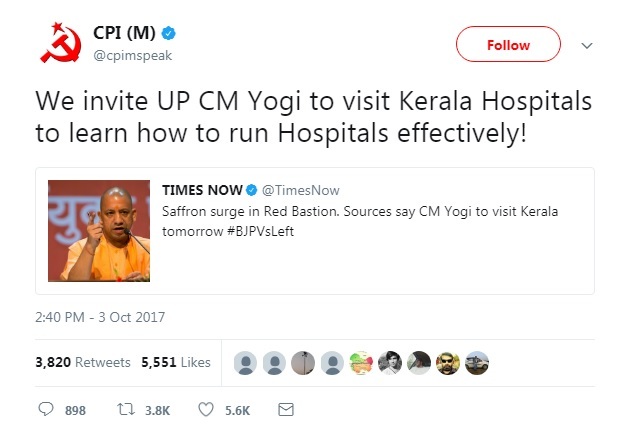 This was in response to CPI(M)’s official Twitter handle tongue-in-cheek invitation to visit hospitals in Kerala to learn how to run them effectively. 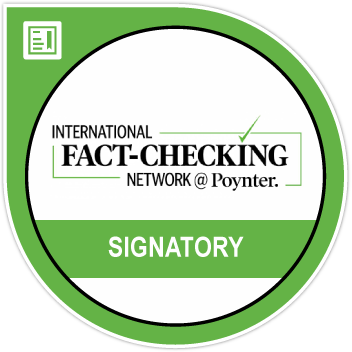 BOOM fact checked Adityanath’s statement on dengue and chikungunya deaths in Kerala and found them to be way off the mark. At the same time, it is important to note that dengue is a major disease in the southern states especially Kerala with the state reporting the highest number of cases this year. CLAIM 1: 300 deaths due to dengue in 1 year. FACT: The statement is exaggerated as there were only 207 deaths due to dengue (both suspected and confirmed). Deaths in the cases of suspected dengue and confirmed dengue amounts to 207 in the year 2017 (upto August 02), according to Kerala state assembly questions. Of this, 183 were cases of suspected dengue and 24 were cases of confirmed dengue. As per the National Vector Borne Disease Control Programme (NVBDCP), 28 deaths were recorded due to dengue till August 20, 2017. This data only includes confirmed dengue deaths as NVBDCP does not provide suspected dengue death figures. The 28 deaths recorded by the programme was more than double of the corresponding number in the year 2016 when Kerala recorded 13 deaths. NVBDCP also recorded 16,530 cases of dengue in Kerala which is the highest in the country followed by Tamil Nadu with 6,919 cases. Uttar Pradesh had only recorded 302 cases of dengue with 17 deaths in the year 2017. CLAIM 2: Hundreds of deaths due to chikungunya in Kerala. FACT: The above statement cannot be fact checked as there is no official data on deaths due to chikungunya. The NVBDCP has recorded 67 cases of clinically suspected chikungunya in Kerala as of August 20, 2017. In 2016, the state had recorded 129 such cases. However, the state underwent an outbreak of fever in 2017. Health Minister KK Shylaja in the state assembly said that, ‘Over 22 lakh people have been affected by viral fever in the state during the period. As many as 420 people succumbed to fever across the state,” according to a report in NDTV. NDTV also reports that Shylaja claimed climate change and unprecedented variations in temperature level were reasons for high number of cases of fever. The government had faced flak from the opposition for not taking precautionary steps in the form of sanitation drive to prevent communicable diseases. The opposition led by Ramesh Chennithala of the Congress had demanded the health minister’s resignation on moral grounds.